For the fourth consecutive year, The Mixing Bowl presents FOOD IT, under the theme “Fork to Farm.” Action-oriented entrepreneurs, industry players, investors, and representatives from leading global food and ag innovation hubs will gather at the event. In the food system, technology is now enabling the consumer’s fork to become mightier than the producers’ farm. 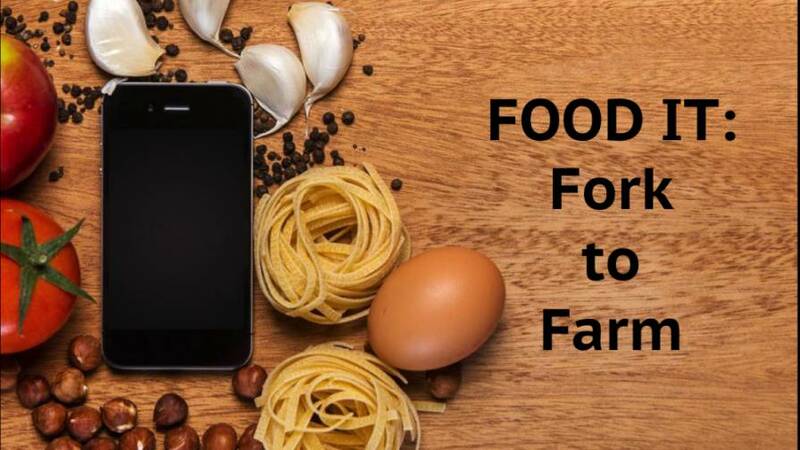 At FOOD IT: Fork to Farm, we will explore this shift in power caused by the rise of the tech-enabled food consumer, its upstream production and supply implications as well as downstream societal consequences. “For the fourth year, thought leaders from the food, ag, and tech sectors will once again gather for this thought-provoking event. Through a day of interactive engagement, we will seek to better understand the ramifications in our food system of choices made by tech-enabled consumers,” said Rob Trice, The Mixing Bowl’s founder. The Dean’s List of Food & AgTech Topics: Leaders of diverse academic institutions, like UC Davis, Iowa State, Cal Poly & Hartnell College sharing views on key topics in food, agriculture, the environment, life sciences, business and technology. The Internet of Tomatoes: From Seed to Soup to Social Media: Exploring how IT is being applied along the production value chain of a single food product — the tomato. The Blender Startup Pitch Competition with Food/AgTech start-ups once again vying to win the “Golden Blender Award” pitching to seasoned venture capitalists. Deep Dive Interactive Breakout Sessions providing participants the opportunity to take a deep dive together through collaborative discussions on timely topics related to food, agriculture and technology. Innovation Marketplace with innovators giving hands-on demonstrations of products, services and programs.